There’s nothing that will make a pool owner’s heart sink more than noticing that their pool’s water level is doing the same! The good news is that not all pool leaks are catastrophic. Having said that, if ever you suspect pool leaks, the key is to act quickly. 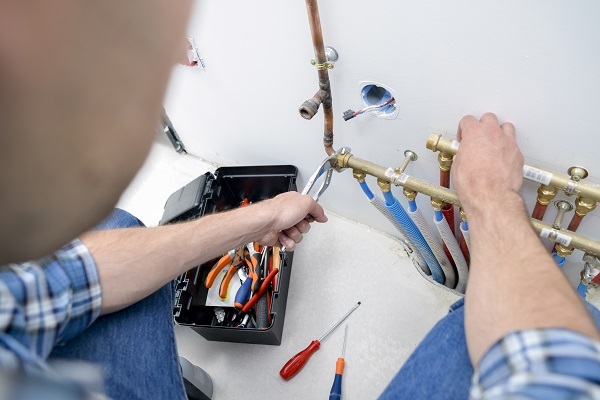 Leaks tend to worsen if ignored for long periods of time, resulting in you having to call on the experts for assistance. If you catch them early, there’s a chance that you’ll be able to remedy them yourself. Here’s what you need to know. There are generally 3 common types of pool leaks, namely skimmer leaks, light leaks and liner leaks. Skimmer and light leaks can often be fixed the DIY way, but liner leaks require a more skilled hand, so it’s best to call on swimming pool vinyl liner replacement experts in cases such as these. With skimmer leaks, the problem is usually a result of a separation between the plastic skimmer and the concrete pool. By ensuring that the skimmer adheres to the side of the pool once again, with the help of some pool putty, the leak should completely resolve. Light leaks, on the other hand, are generally caused by issues with the conduit pipe. It might have broken or come apart, for example. In these instances, you’ll need a bit more patience, as well as some putty, silicone or caulk. If you’re a newbie when it comes to fixing pool leaks, light leaks might be a bit out of your depths. Evaluate well before attempting a fix, and if you’re uncertain at all about what you’re doing, call on the professionals instead. When it comes to fixing pool leaks of all kinds, you can count on the Mr. Pool team. We’re specialist vinyl pool liner replacement contractors who care about your swimming experience! Get in touch with us today to learn more about our range of services.